As we close up Summer its nice to go back and reflect on the fun colorful months and embrace the projects we did during that time. 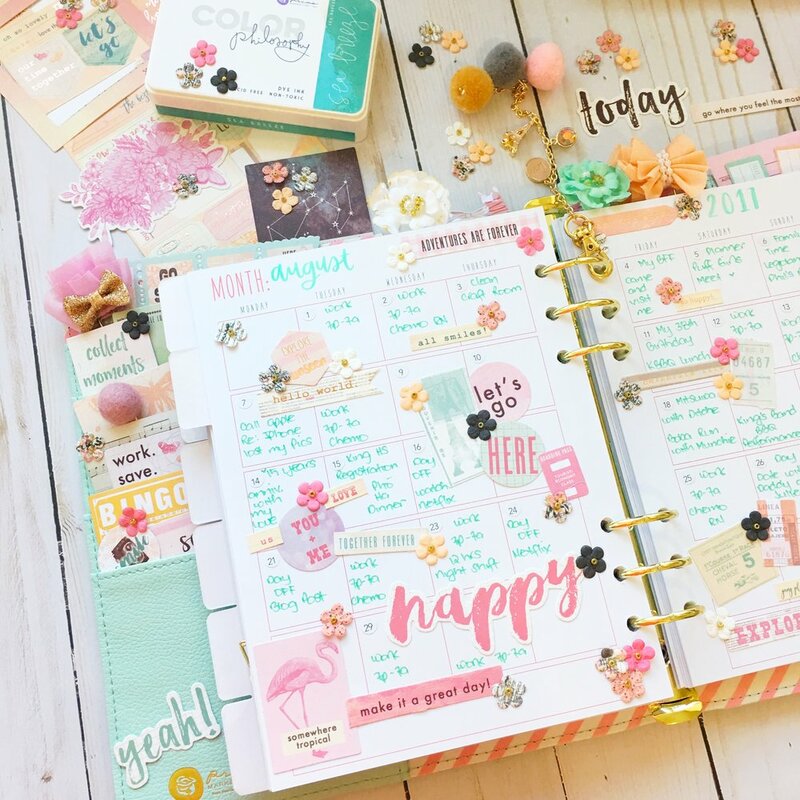 Come take a closer look at how Jomelle created her August Monthly layout in my Julie Nutting using Sweet Notes Ephemeras! 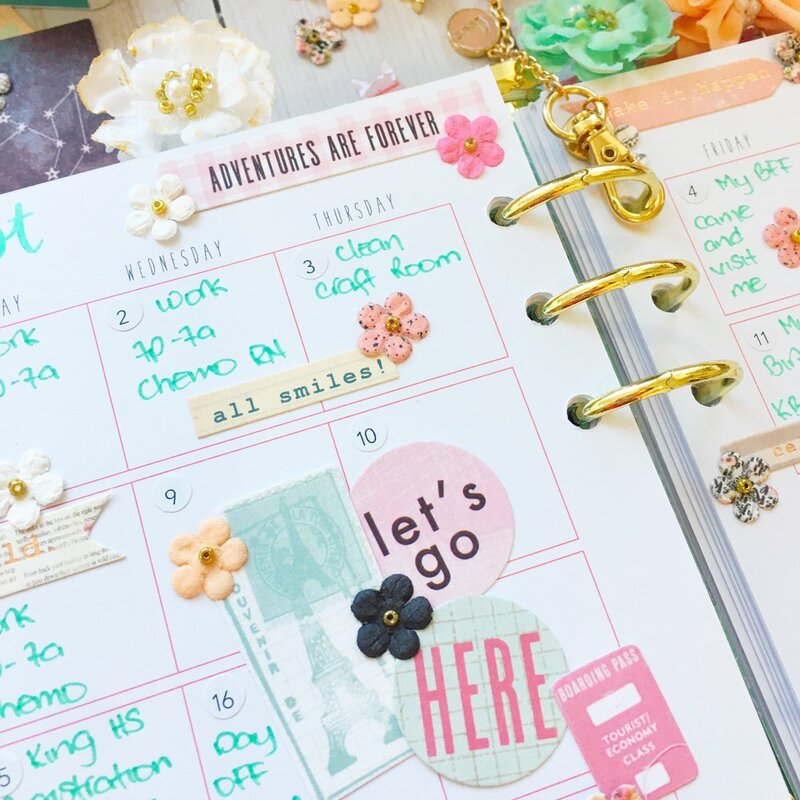 "I've always love creating my monthly layout. 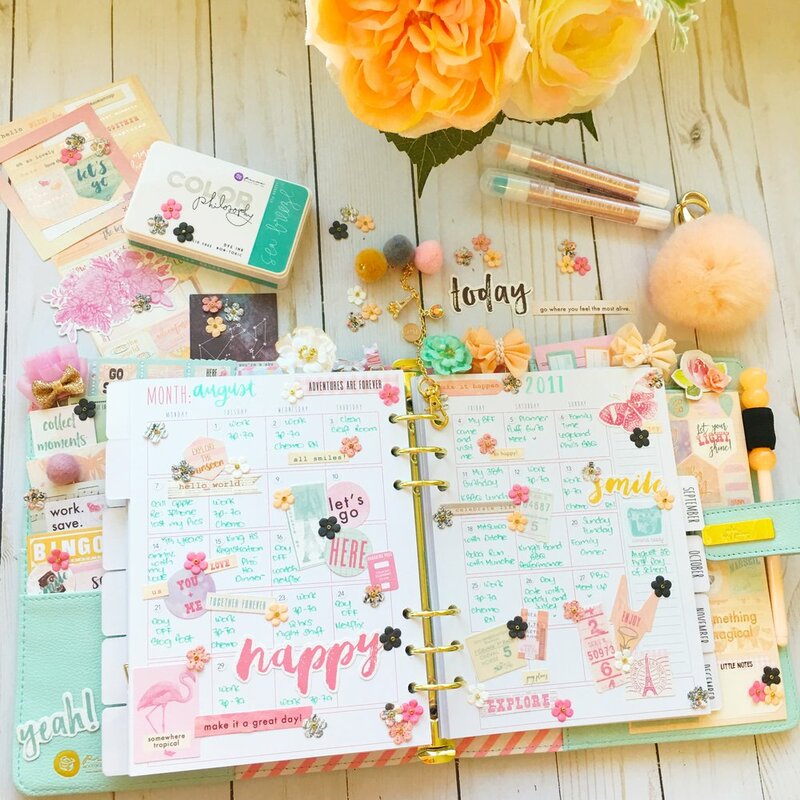 The Sweet Notes Ephemeras have really soft colors that goes well with my Julie Nutting." I added some Prima Flowers. I scattered them around my layout for finishing touch. I also used a mint pen to soften the look and add a special touch to the spread. Remember your monthly layouts do not always have to be the same. You can add stickers, ephemera, washi tapes, different color pens and even our flowers to give it more personality. You can see more of Jomelle's projects and beautiful inspirational pictures on her Instagram account @j4fashion.